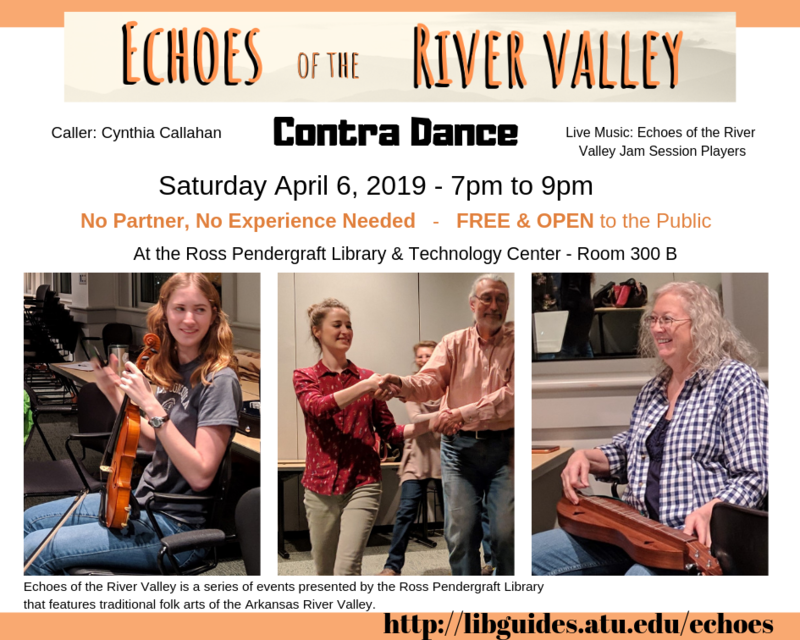 Come shake it up to live music next Saturday, April 6th at the Ross Pendergraft Library as we host our second Contra Dance in RPL 300B from 7:00-9:00 P.M. No partner and no experience necessary. Each dance will be taught before it begins, and no one will be left behind. The event includes live music from the Valley Jam Session Players and caller Cynthia Callahan. An old-time contra dance, also referred to as a barn dance, is an informal country dance stemming from such dances in 17th century Western Europe. It has evolved just as the old-time music has. Traditionally this type of dance always uses live musicians playing fiddle tunes. As part of the Echoes of the River Valley series, the library is bringing to life the folk arts of the past for a new generation. In addition to dancing, the series has featured events like yarn spinning, hand-quilting, and open jam sessions. The Jam Sessions occur every Thursday night from 5:30-7:30 PM in Doc Bryan 133. To learn more about this event, or others in the series, check out our resource guide or follow us on Facebook, Twitter, or Instagram. 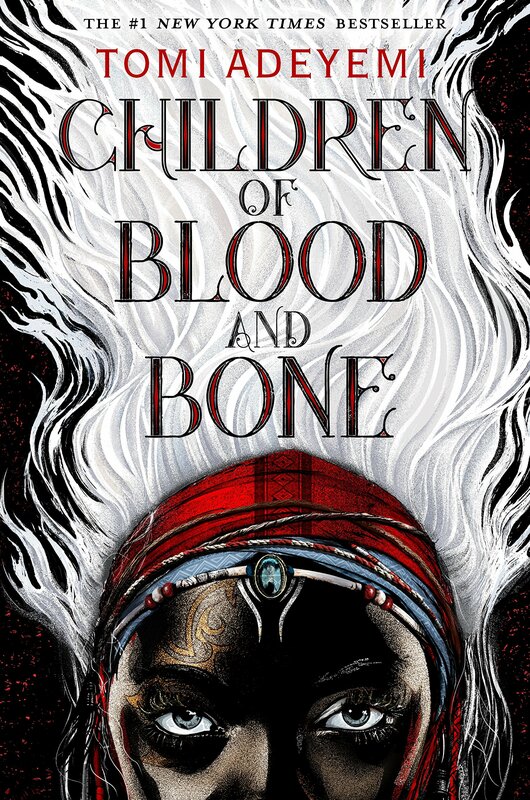 Monday, March 18th-Friday, March 22nd – 8:00 A.M. to 5:00 P.M.
Sunday, March 24th – Resumes regular hours, 1:00 P.M. to 1:00 A.M.
Children of Blood and Bone – Zélie Adebola remembers when the soil of Orïsha hummed with magic. Burners ignited flames, Tiders beckoned waves, and Zélie’s Reaper mother summoned forth souls. But everything changed the night magic disappeared. Under the orders of a ruthless king, maji were killed, leaving Zélie without a mother and her people without hope. 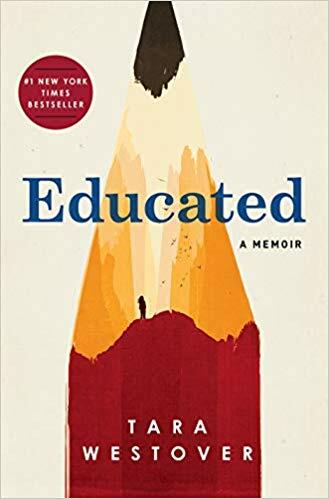 Educated : a memoir – Traces the author’s experiences as a child born to survivalists in the mountains of Idaho, describing her participation in her family’s paranoid stockpiling activities and her resolve to educate herself well enough to earn acceptance into a prestigious university and the unfamiliar world beyond. 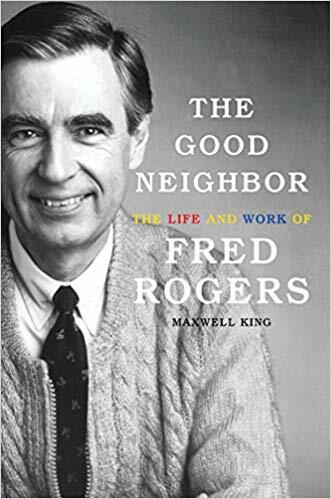 The Good Neighbor : the Life and Work of Fred Rogers – Drawing on original interviews, oral histories and archival documents, the author traces the iconic children’s program host’s personal, professional, and artistic life through decades of work. Narrated by LeVar Burton. 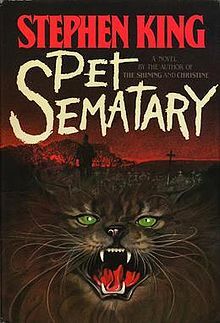 Pet Sematary: A novel – When Dr. Louis Creed takes a new job, and moves his family to the idyllic, rural town of Ludlow, Maine, this new beginning seems too good to be true. Yet despite Ludlow’s tranquility, there’s an undercurrent of danger that lingers like the graveyard in the woods near the Creed’s home, where generations of children have buried their beloved pets. This Stephen King classic is narrated by Michael C. Hall. 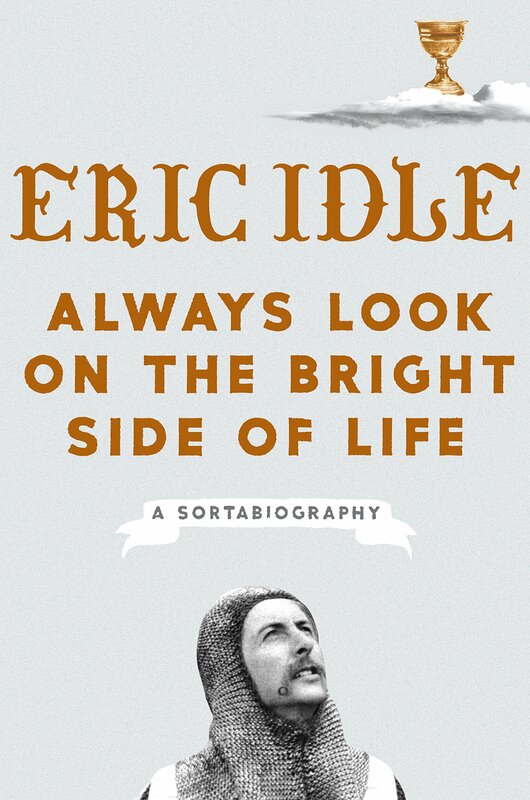 Always Look On the Bright Side of Life : A Sortabiography – From the ingenious comic performer, Eric Idle, founding member of Monty Python, and creator of Spamalot, comes an absurdly funny memoir of unparalleled wit and heartfelt candor. The Greatest Love Story Ever Told – Presented as an oral history in a series of conversations between the couple, the book features anecdotes, hijinks, photos, and a veritable grab bag of tomfoolery. 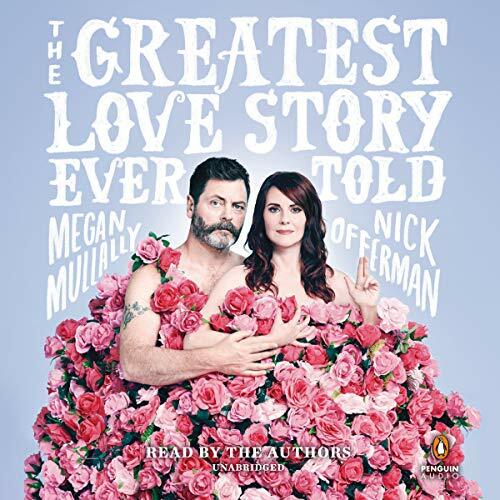 This is not only the intoxicating book that Megan Mullally’s and Nick Offerman’s fans have been waiting for, it might just hold the solution to the greatest threat facing our modern world: the single life. Join us Monday night, March 11th, at 7:00 P.M. in RPL 300B for a look back at the struggle for Civil Rights in Arkansas from professor of history and author, Dr. James Moses. 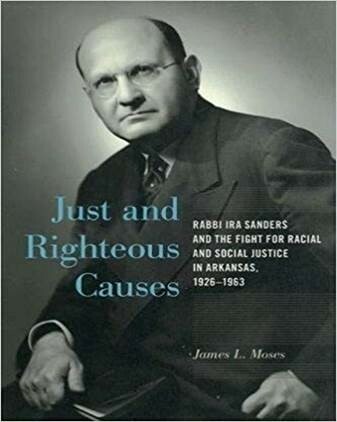 Dr. Moses’s latest book, Just and Righteous Causes: Rabbi Ira Sanders and the Fight for Racial and Social Justice in Arkansas, 1926-1963, focuses on the efforts of Rabbi Ira Sanders of Little Rock who fought for justice and equality for African Americans in the segregated south. 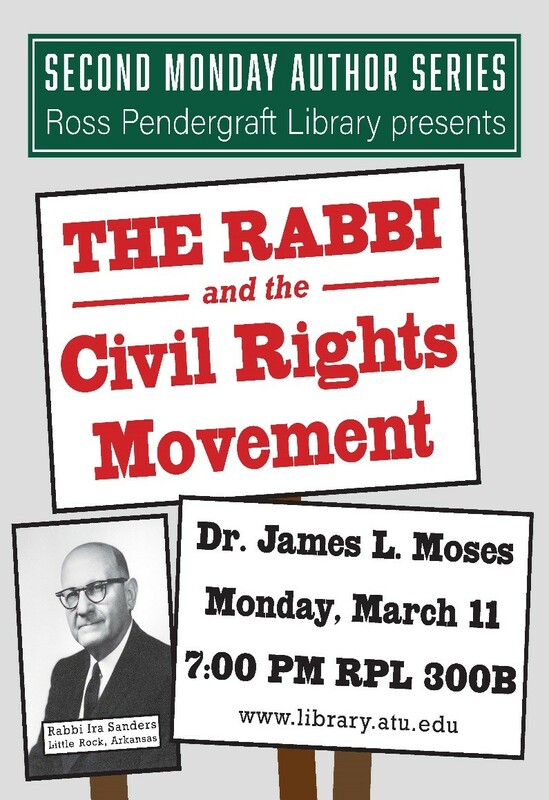 Dr. Moses will discuss Rabbi Ira Sanders as well as the role of Southern rabbis as change agents. All are welcome to attend. Dr. Moses earned his Bachelor of Arts from Louisiana State University, a Master of Arts from the University of New Hampshire, and a Doctor of Philosophy from Tulane University. He has been a professor at Arkansas Tech since 1999 and specializes in modern United States and cultural history. 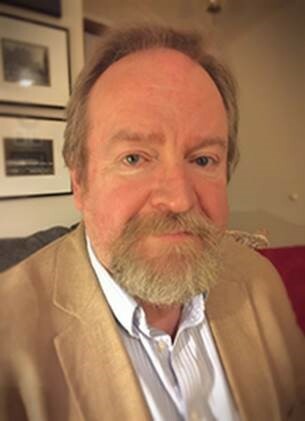 His current research projects include the completion of his book on the career of Justice William O. Douglas, and a project tentatively entitled Before Brown: The Long Civil Rights Movement, 1945-1954, which focuses on the often-overlooked decade between the end of World War II and the Court’s landmark Brown decision. In his off time, he enjoys jazz, playing drums, and collecting comics. His book, Just and Righteous Causes, was published by the University of Arkansas Press. In one review, Mark K. Bauman, editor of Southern Jewish History called it, “. . a must read for anyone interested in Little Rock, Arkansas and southern history, the civil rights movement, and southern and American Jewish history.” Read more about the book and Ira Sanders in Tablet Magazine’s article, “Tikkun Olam, Y’all: Rabbi Ira Sanders of Arkansas, little-known Civil Rights hero”. Stay up to date on more library events, including our next second Monday Author, on Facebook, Twitter, or Instagram. For questions or more information about the library, email your friendly neighborhood librarians at: askus@atu.libanswers.com. We hope to see you this Monday!